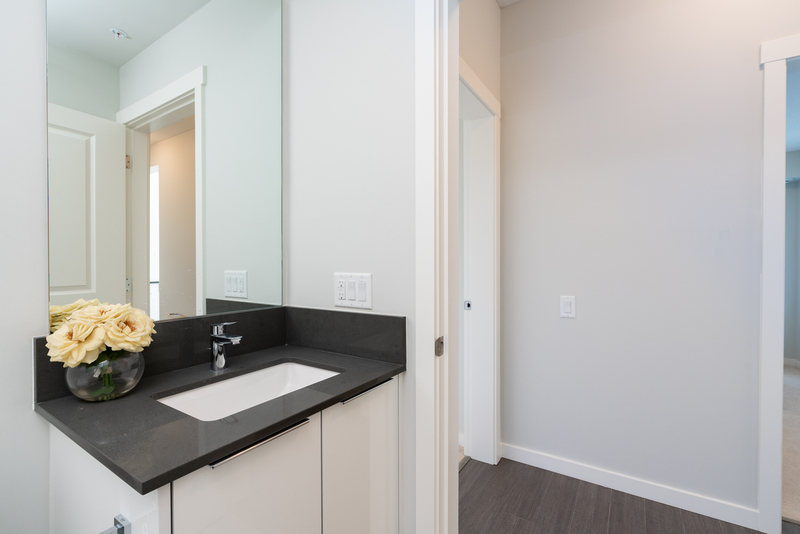 Maintenance fee: $529.79 includes caretaker, gardening, garbage pickup, gas, heat, hot water, management, recreation and snow removal. 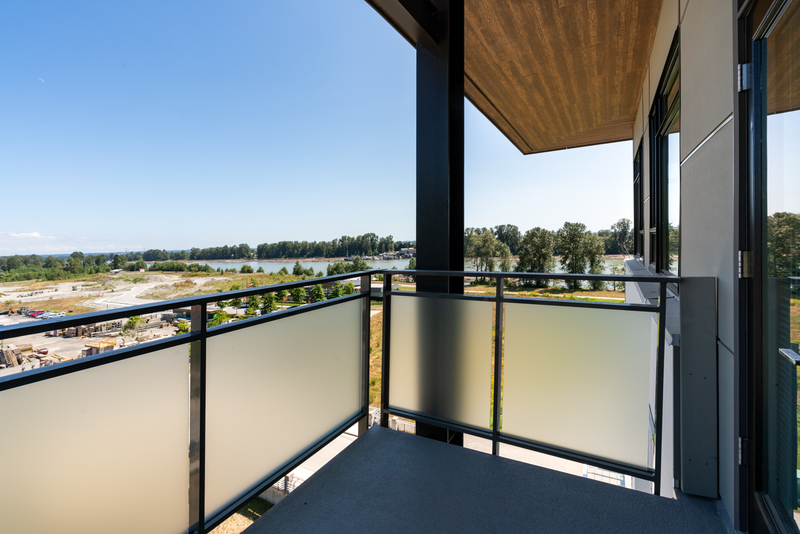 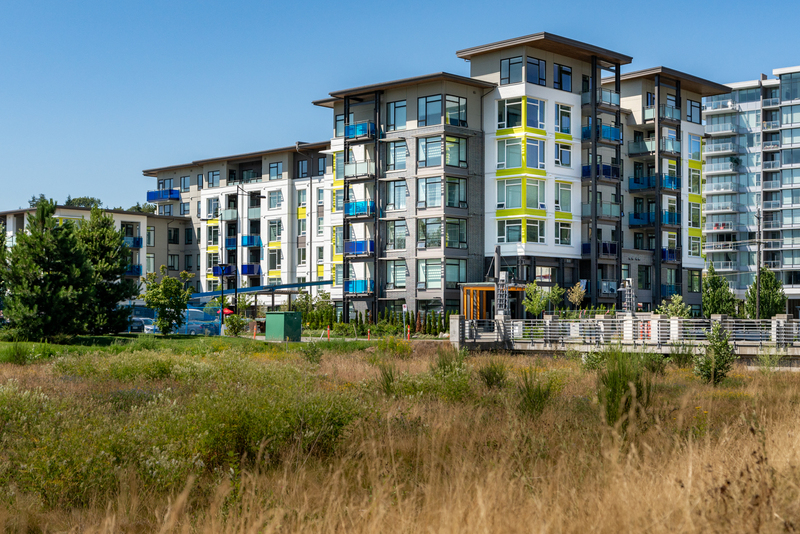 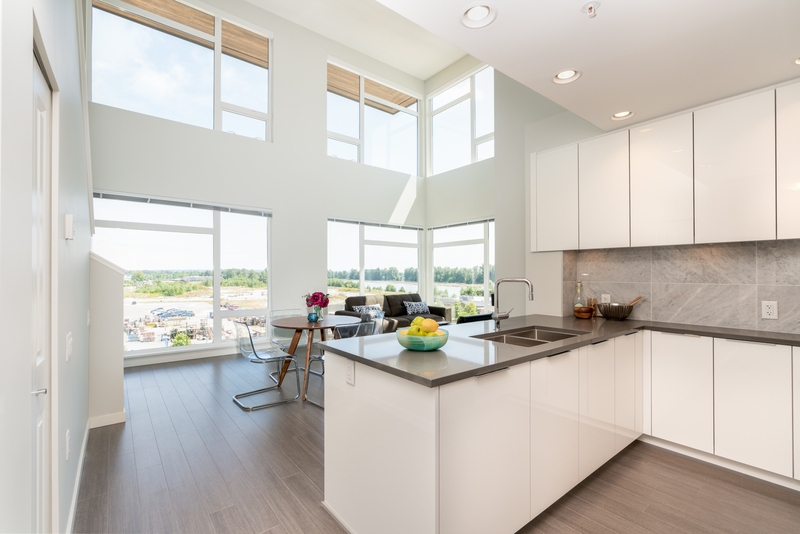 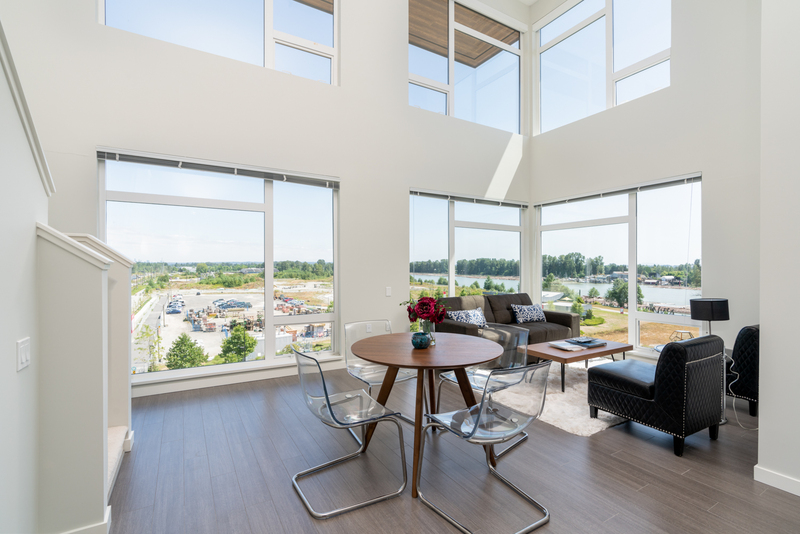 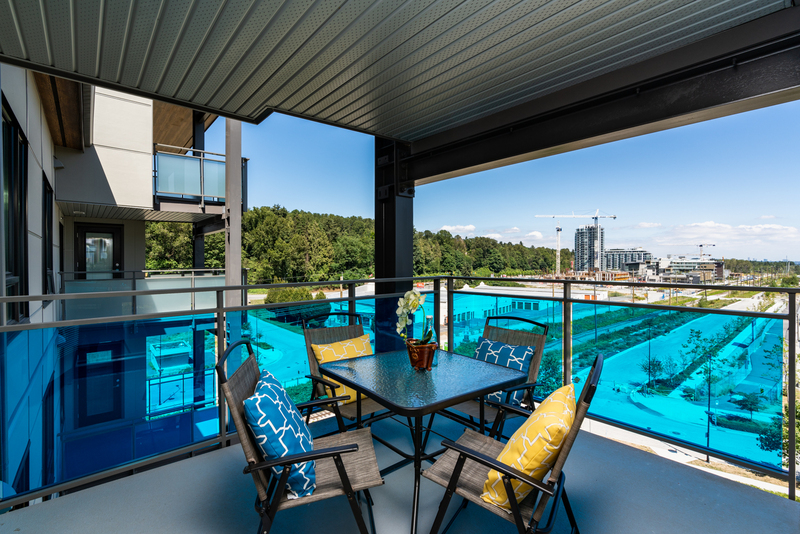 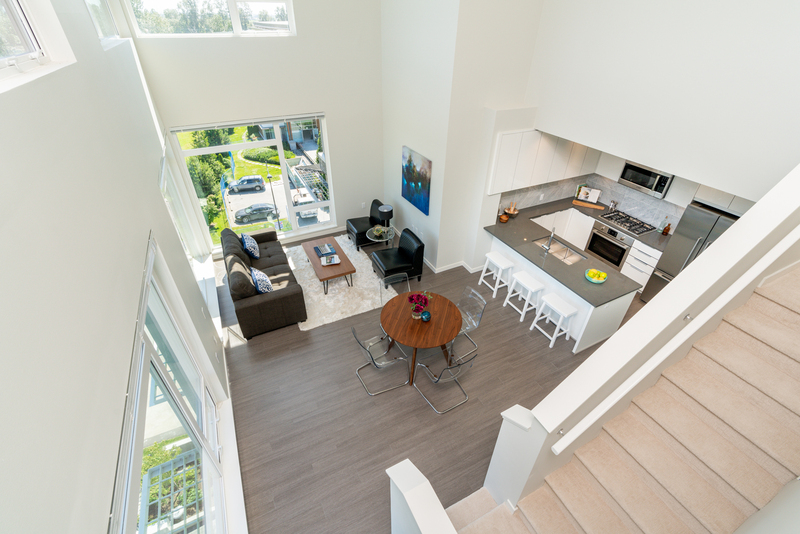 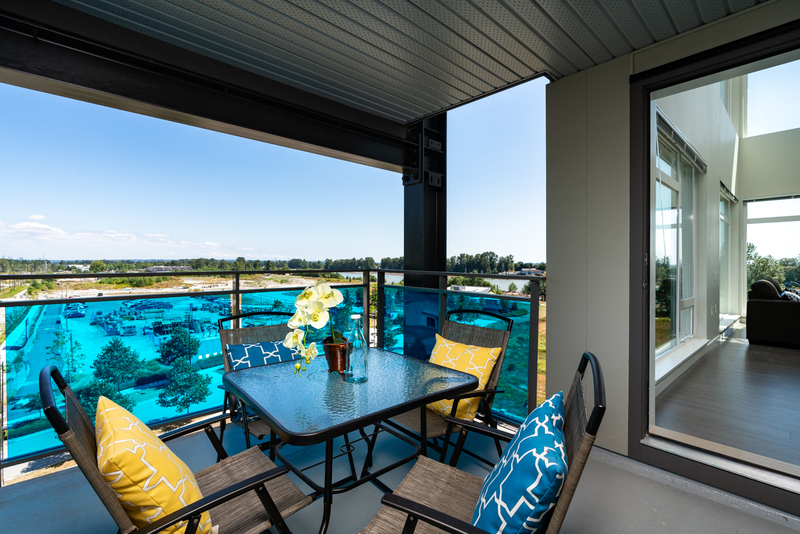 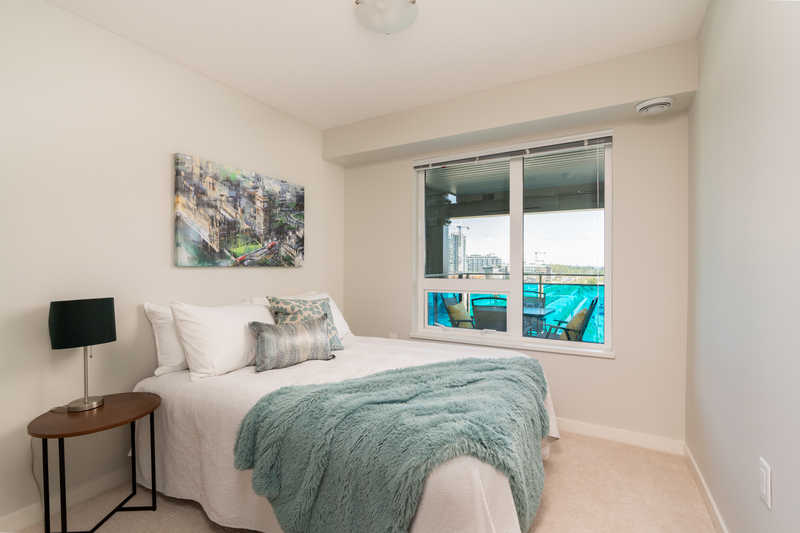 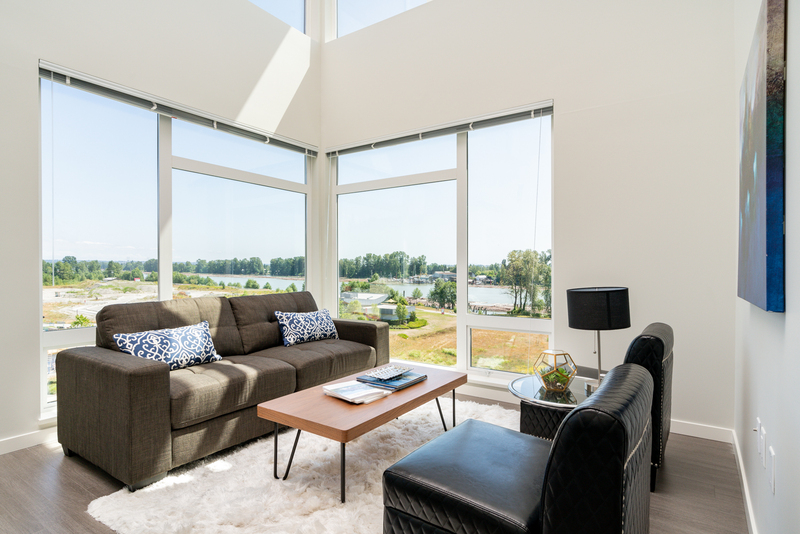 Fraser River Views from this brand new penthouse level, 2 bdrm & flex, 2 bath, loft-style suite at ”R+R” by Polygon! 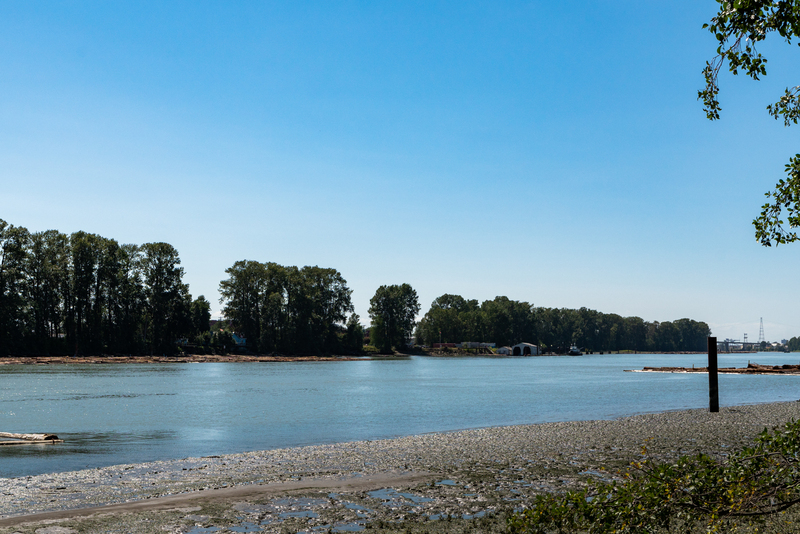 An exciting opportunity to live in the River District. 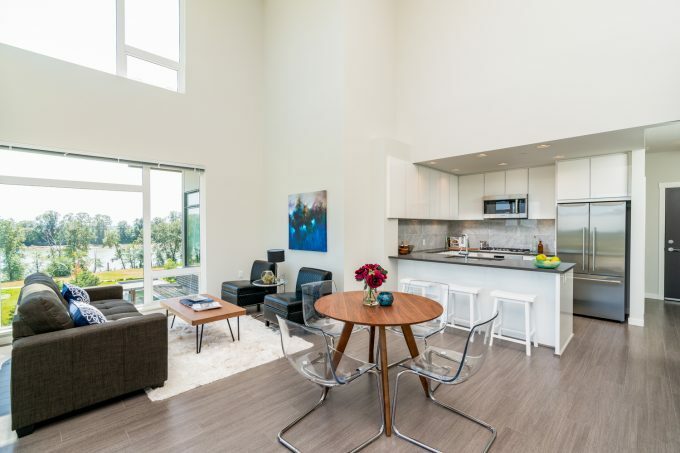 Boasting double height ceilings & plenty of natural light in living & dining areas. 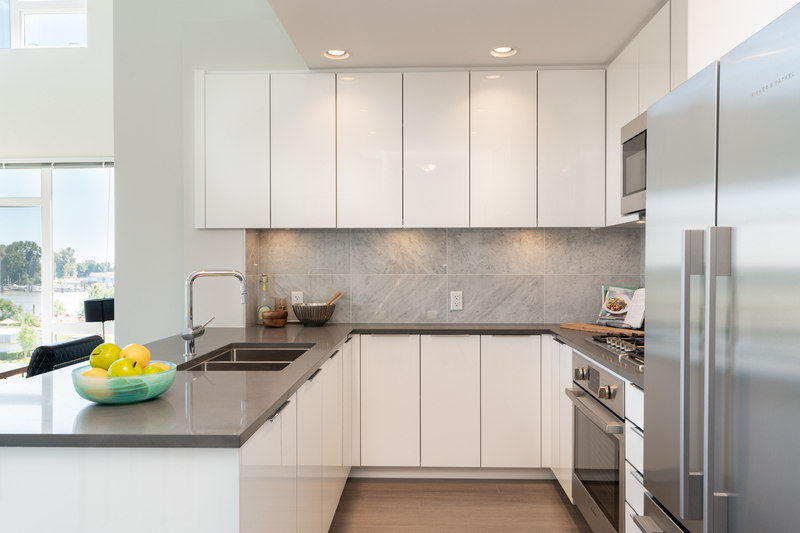 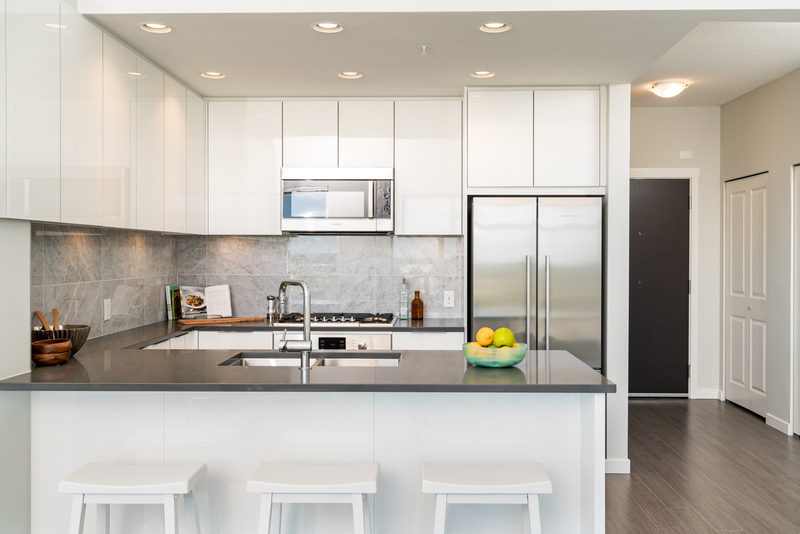 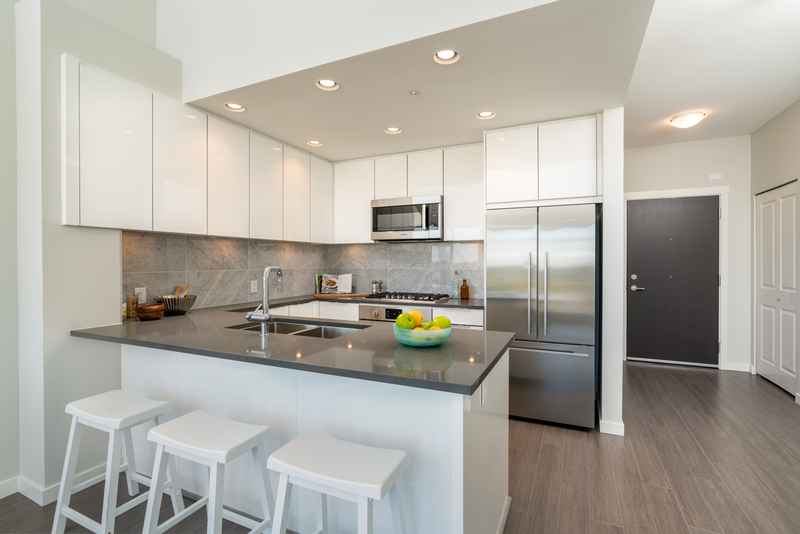 This modern kitchen showcases quartz counters, gas cooktop & s/s appliances. 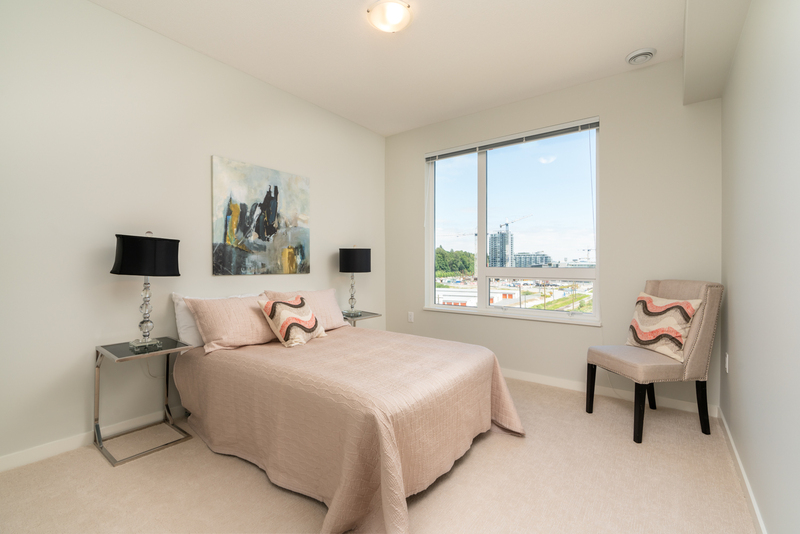 Spacious bedrms, spa-inspired baths &2 fabulous balconies w/river views – welcome home! 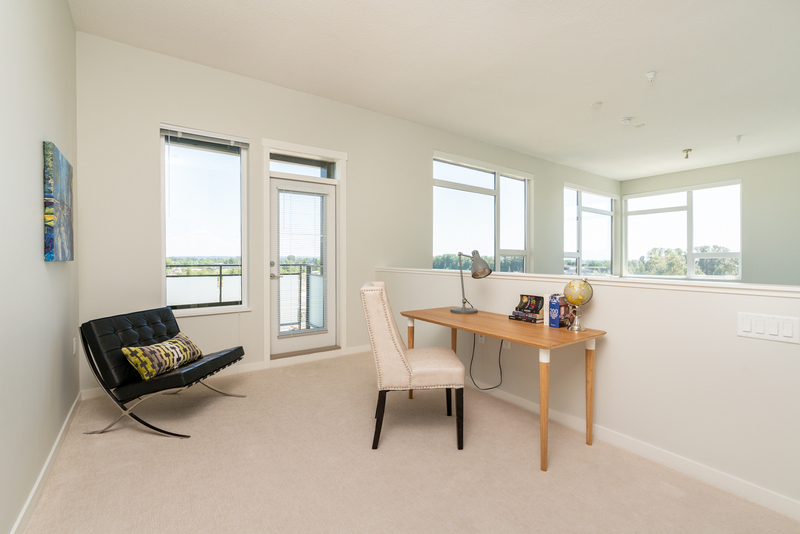 Upper loft flex space is ideal for home office. 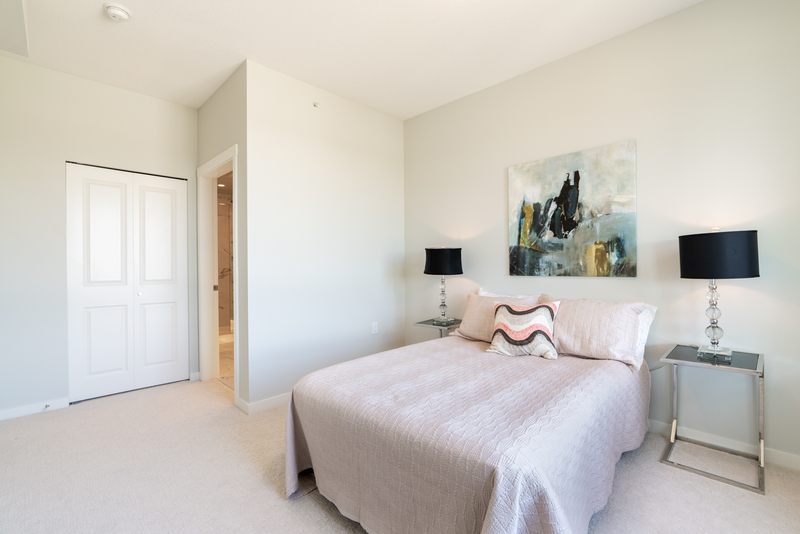 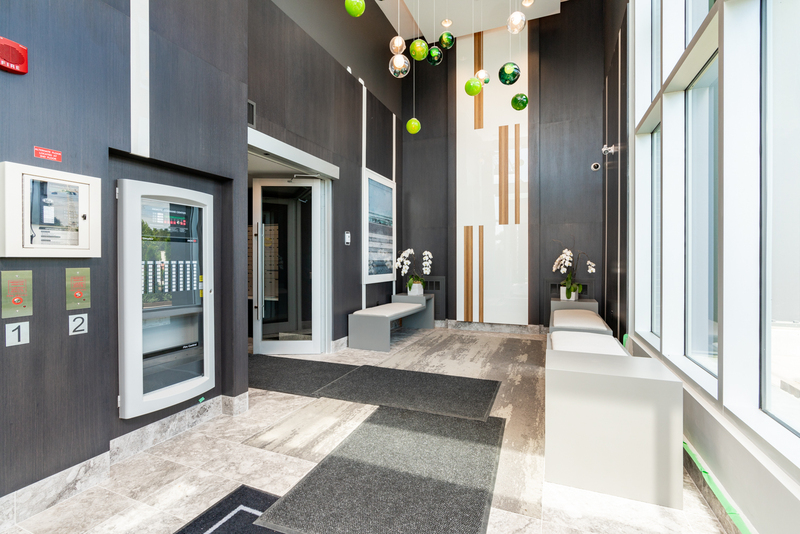 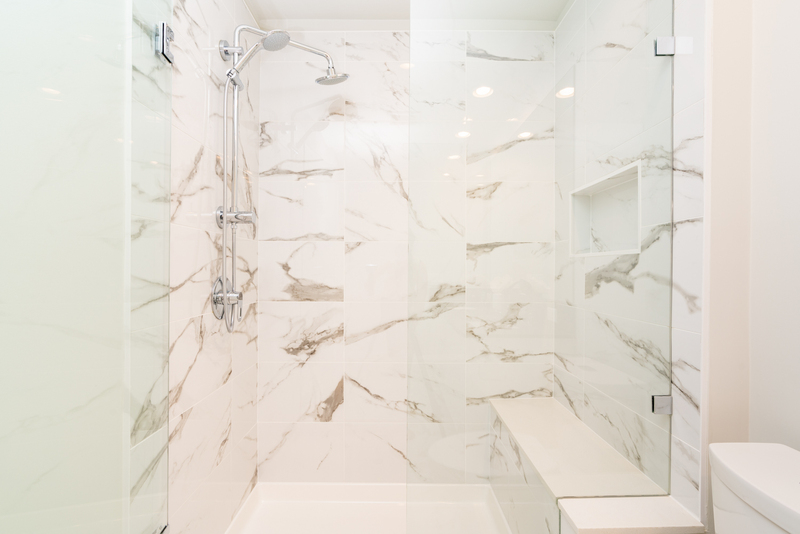 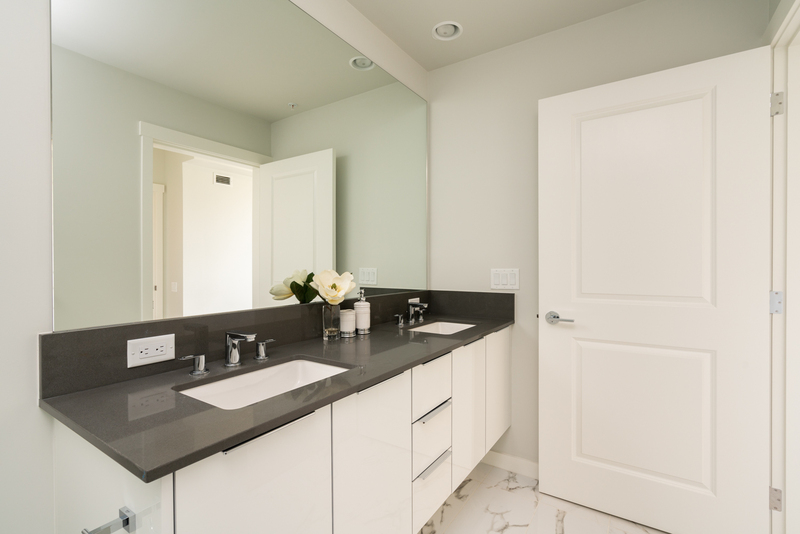 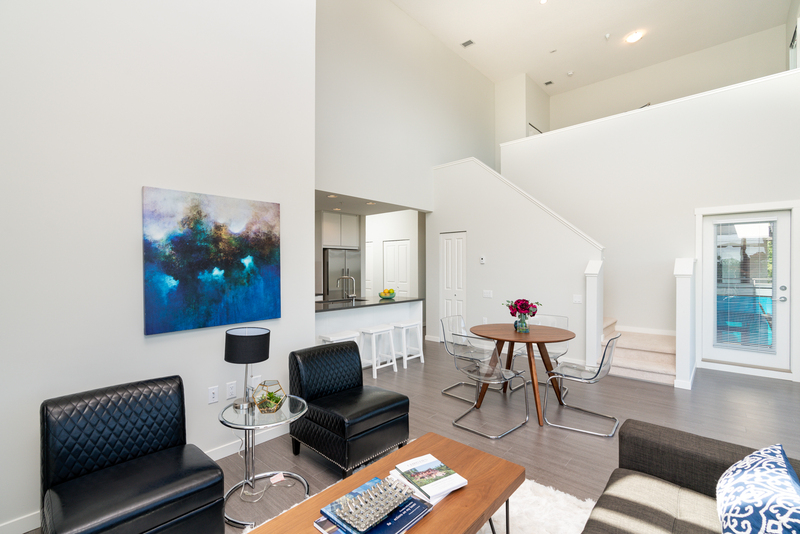 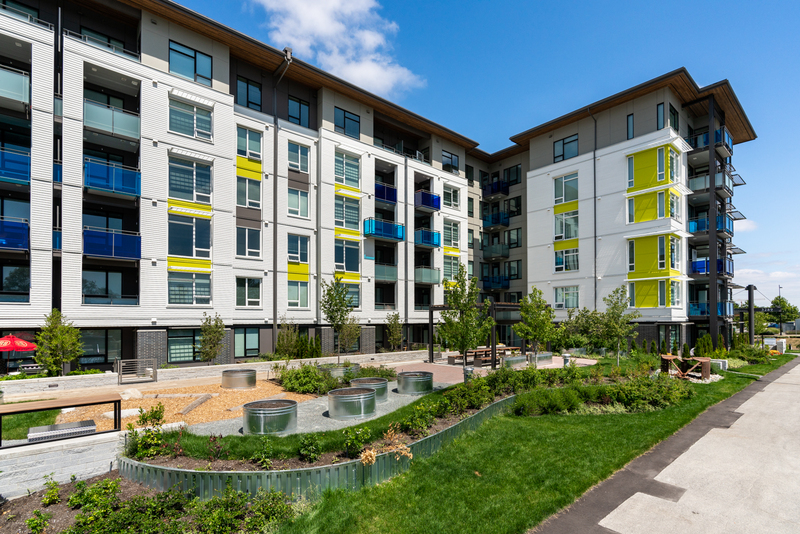 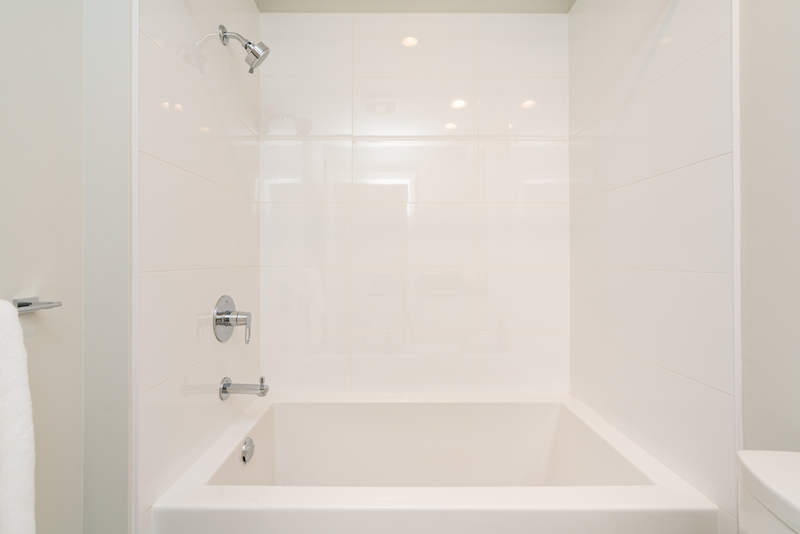 In-suite laundry & storage, large bike storage & 1 parking space w/electric car outlet. 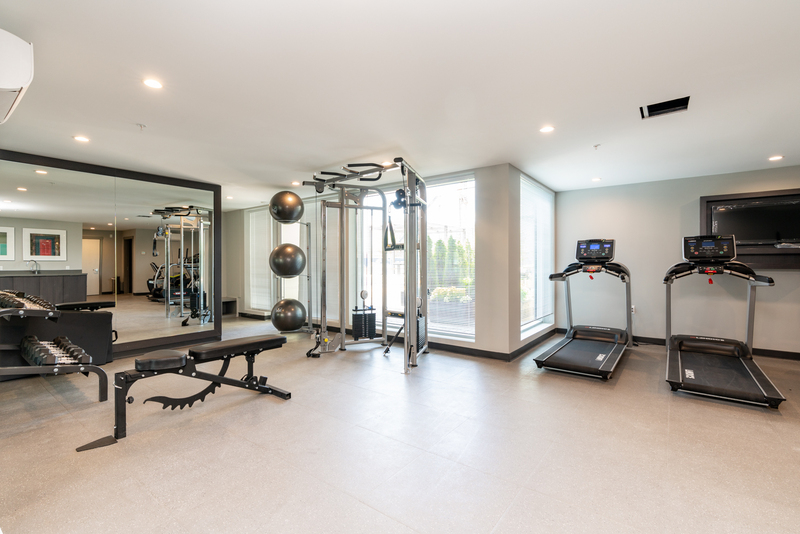 Carefree living w/ 2-5-10yr NH Warranty in this terrific building w/ fitness centre & lovely courtyard. 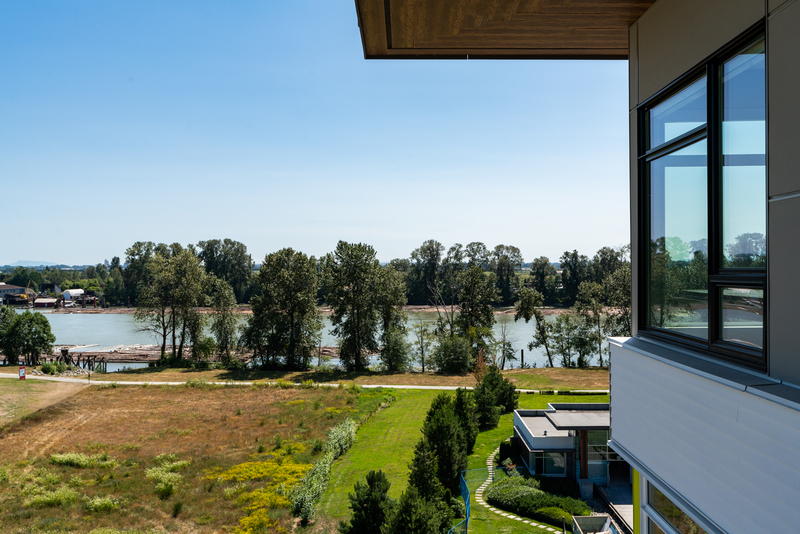 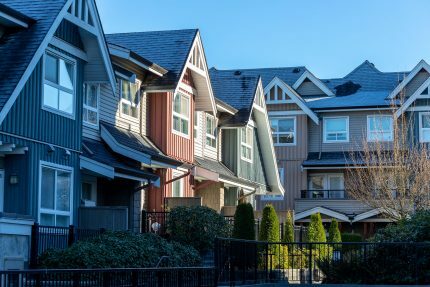 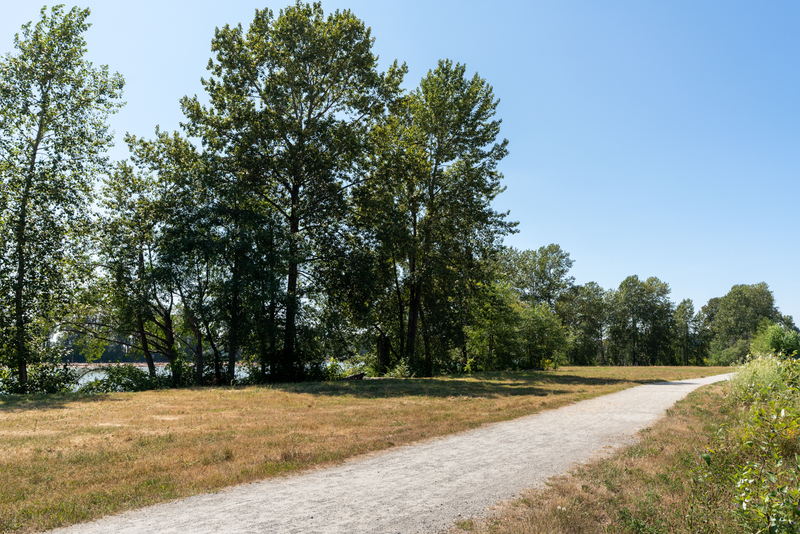 A spectacular neighbourhood, steps to Fraser Foreshore trail & Fraser River waterfront, plus close to array of parks & walkable amenities. 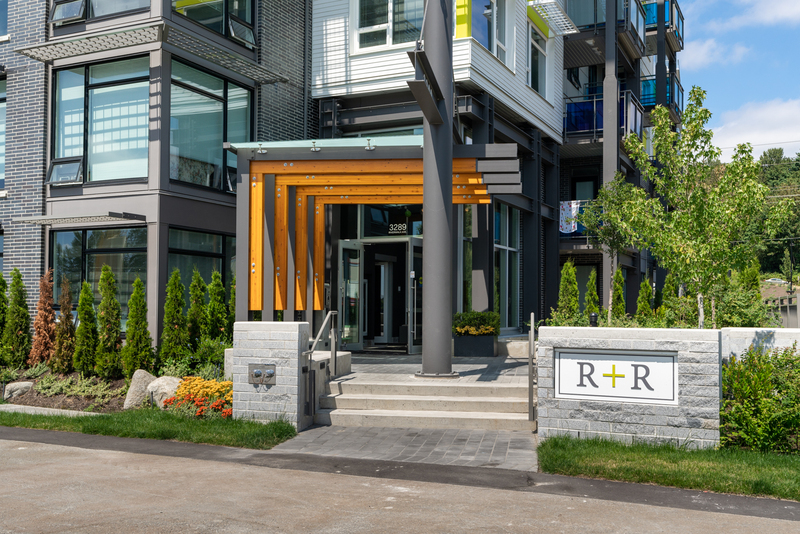 Learn about this listing’s Champlain Heights neighbourhood, including photos, maps, school catchments, nearby amenities and more!